Manntech’s monorail systems are often an ideal solution for buildings which don’t allow sufficient space for a roof-mounted system. The monorail track can be fixed to the side of the building or even underneath an overhanging recess. Depending on the challenges presented by the building, the track can be configured to run horizontally, vertically or on an inclined surface. A monorail can be a particularly desirable and flexible solution where the technical and aesthetic challenges of the building go beyond what is achievable with standard facade access systems. For instance where the design of the building requires the machines and track to be hidden or integrated seamlessly with the facade. 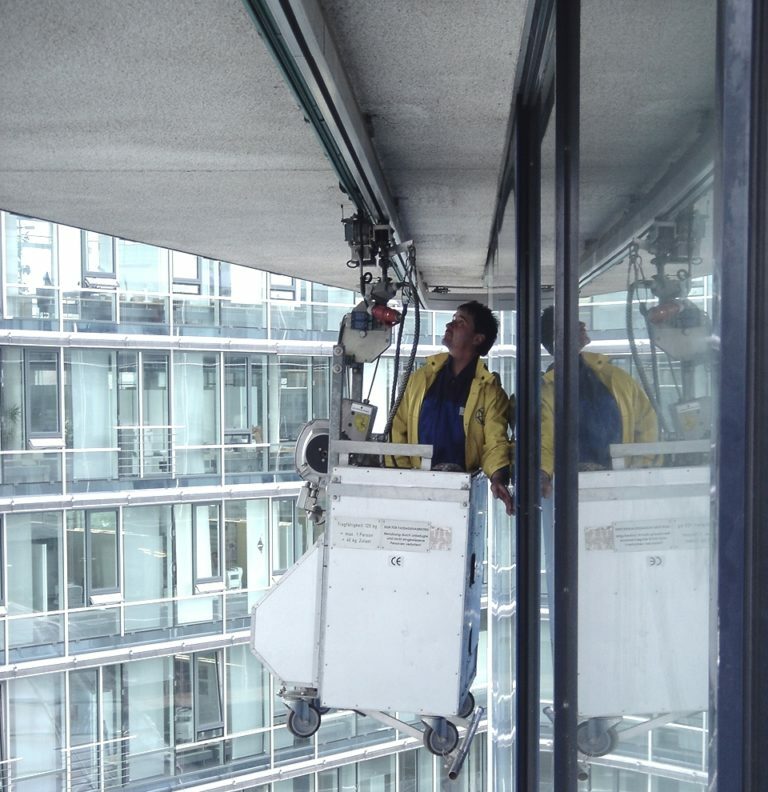 A monorail system project is always bespoke and customised to the particular architectural and facade access requirements of the building, so early consultation with us is especially beneficial. For instance, fixture points for the monorail must be integrated with the structure of the building. So before masonry or facade panels are put in place or, in the case of roof based tracks, before roofing takes place. This requires consultation on the load-bearing capacity of facades and roofs as part of a thorough planning and project management process with our experienced team to ensure we work with you to provide the best system for your needs.